Elegant textures and shapes define these shatter-resistant ornaments. Glitter and sheen designed in a traditional colour theme unify all the varieties and create the essence of your stunning decor. 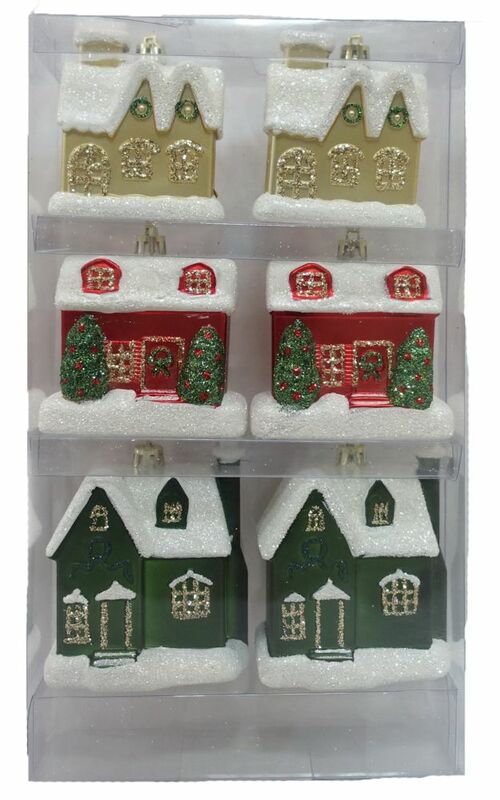 Hand-Painted House Ornaments (6-Count) Elegant textures and shapes define these shatter-resistant ornaments. Glitter and sheen designed in a traditional colour theme unify all the varieties and create the essence of your stunning decor.